The V-Series of conductive single or dual axis inclinometers offers a modern electronic in an environmentally protected and robust aluminium anodized housing. 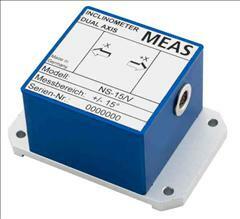 This fully calibrated inclinometer is available with analogue voltage output signals or current output signals. They have a compact study design and a large range of applications are possible.